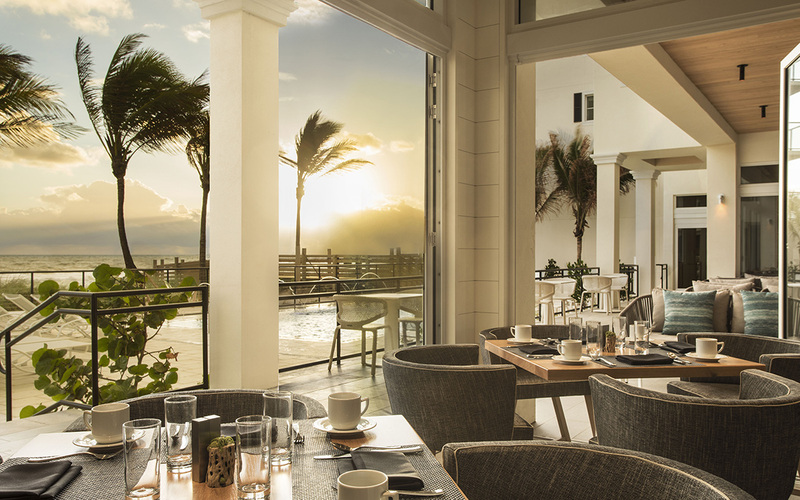 Located at the new Hutchinson Shores Resort & Spa, this 200-seat oceanside restaurant provides a relaxing, comfortable dining experience with a strong connection to the surrounding turquoise waters of the Atlantic. 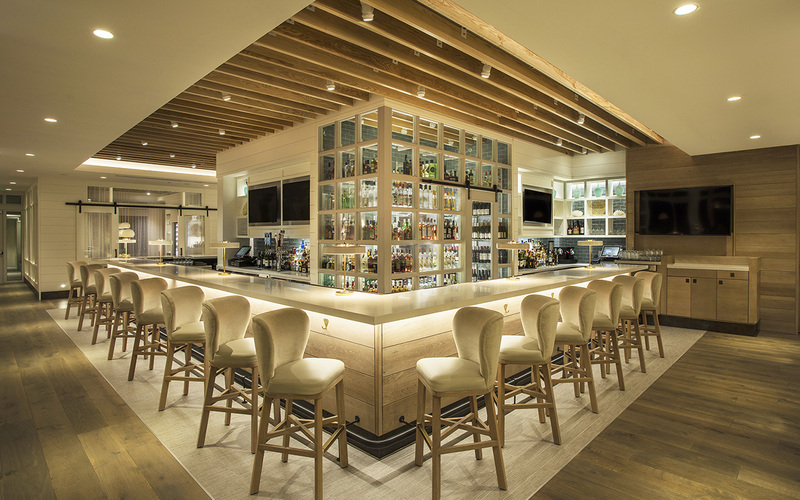 Drift Kitchen & Bar embodies a casual, youthful vibe in a sophisticated, contemporary setting. 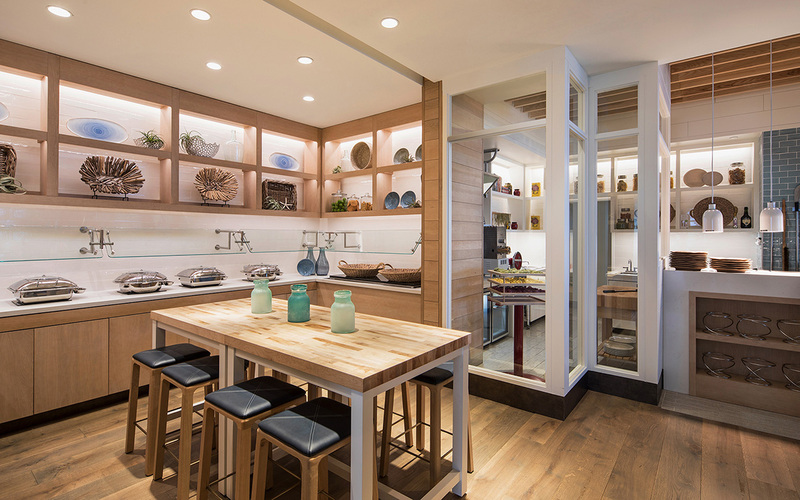 Drift’s interior is a serene and comfortable space, warmed by natural wood furnishings and ocean blue accents. The natural palette is inspired by the beach sand and plant life of the area, with wood shiplap walls, white oak floors, and natural moss wallcovering. Clear glass pendants hang over the host stand, a dramatically sculptural driftwood tree stump table. The main bar incorporates focal points, including a glass-walled Spirits Room. 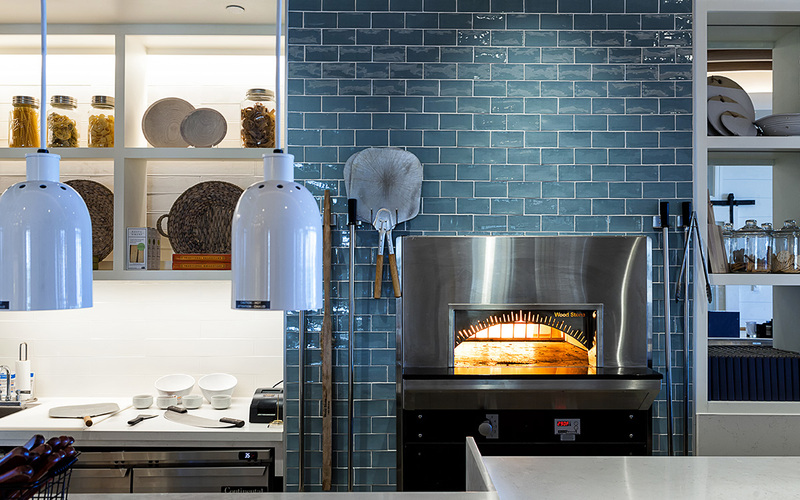 At the other end of the bar, the Chef’s Table is complemented by a pizza oven and pasta studio, designed to celebrate the craft and creation of Drift’s handmade menu items.